Tested: Ben's Osprey Viper 9 Pack Review. Tested: Ben’s Osprey Viper 9 Pack Review. 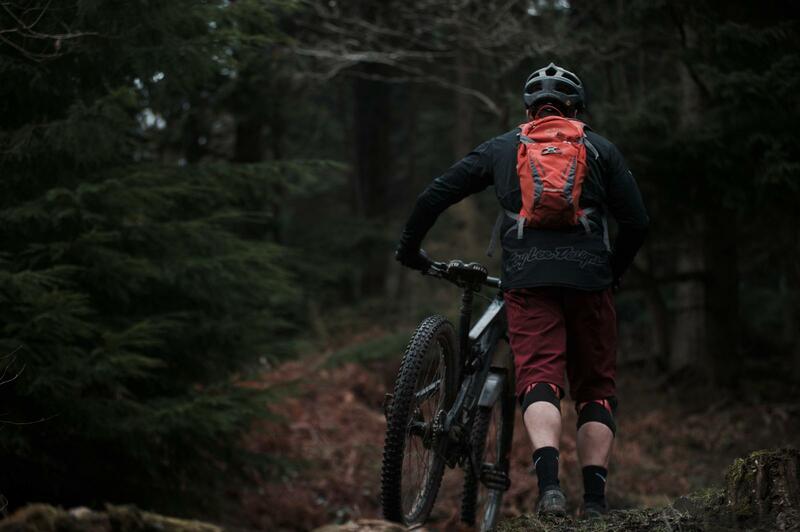 Ben Plenge has been running this Osprey Viper 9 pack through the winter months and reckons it’s well worth investing in. The Osprey Viper 9 is a mid-size, well thought out pack for when bike storage isn’t going to quite cut it on those longer days in the hills. Ben gives us his verdict after a winter of filth. 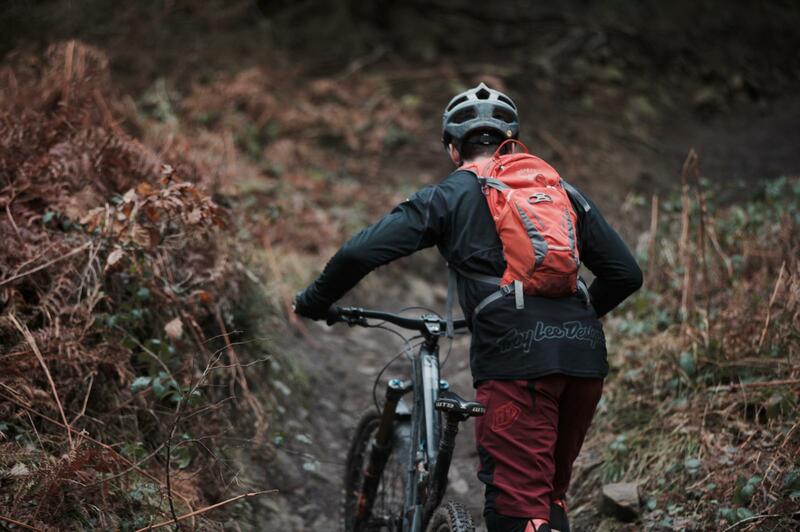 Despite the latest enduro racing inspired trend for storing as much kit on your bike as possible, there are times when you will need to carry a pack. Maybe your bike does not have a bottle cage, or you are heading off for an all-day mission and need to be self-sufficient. 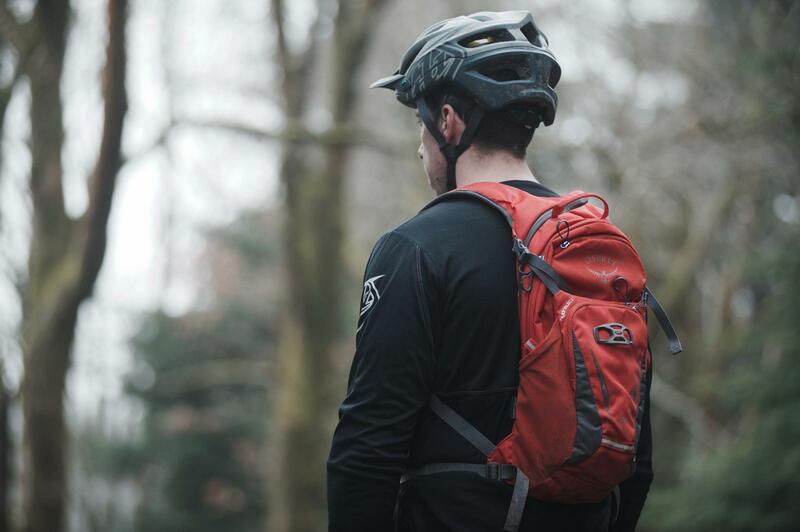 Either way, your pack needs to be comfortable for long climbs and really stable on your back for the downs, letting you ride with confidence and commitment. Offering 9 litres of storage for your kit, the Viper 9 sits in the middle of the Osprey Viper range, with 3 and 13 litre options also available. It has a 2.5 litre hydration bladder, easily accessed by a zip over the top of the pack. Storage is then split into 4 main areas. There is a main storage compartment for your pump, a warm layer, lunch and other bits and bobs. Then there is a soft lined top pocket for glasses or your phone. The front zipped pocket then has a couple of organiser pockets for your multi tool and a few spares as well as a clip to secure your keys. Finally there is an external, mesh sided ‘stuff’ area for cramming a wet jacket or your goggles when the weather is looking dodgy. With an RRP of £85, including the bladder, the Osprey is cheaper than its Camelbak and USWE equivalents, and a tenner more than EVOC, which makes it an even more attractive prospect when you look closely at the finishing touches and attention to detail you can see where your money goes. Everything from the buckles to the zips feels really well made. There is a handy magnet to locate the hose on the chest strap. There is an open face helmet carriage system on the back, a loop for a light and small reflective tabs to keep you safe. The shoulder straps and back are well vented to try and keep you cool and there are waist and chest straps to keep thing secure. I have been running the Viper 9 all winter and it has held up really well, despite repeated soakings, loads of mud, a few crashes and multiple jet washes. It basically looks brand new and there are no signs of wear at all. It is easy to get a good fit, and I found it best to run it lower on my back with the waist strap cinched up tight. In this position the pack was never interfering with the back of my helmet on the steep stuff and was secure enough when you hit jumps or pump the trail hard. The bite valve is easy to use and offers plenty of water when you need it most and the magnetic tab on the chest means it is always accessible. One of the best features for me was how easy the bladder is to fill up, even mid-ride, as you don’t have to take the kit out of the bag to do so. It is then held securely in place and doesn’t slosh thanks to some clever ‘chevrons’ inside the bladder that help it keep its shape. This is a great pack. Suitable for all but the longest and most remote of rides. It is really stable on your back when things get rough and has loads of usable features that make your life easier. The Osprey Viper 9 is a great investment that should last you many seasons of riding. Easy fill bladder that doesn’t jump about. Tall carry handle easy to snag. Full details on the Osprey Viper 9 and the rest of the Osprey pack range can be found over on the Osprey website.